A fire that broke out in the backyard of a Skyline-area home caused an estimated $100,000 worth of damage and killed at least eight pet birds, authorities reported Tuesday. 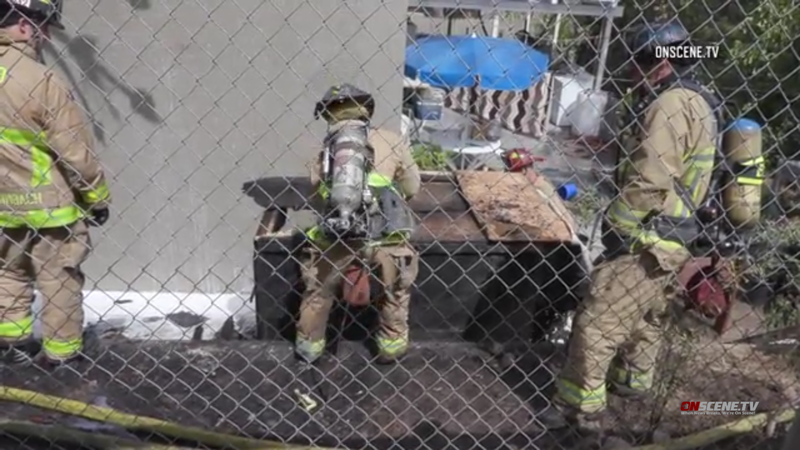 The fire in the 8300 block of Noeline Lane erupted shortly after 2 p.m. Monday, according to the San Diego Fire-Rescue Department. A neighbor who spotted the flames helped a resident, a cat and a dog get out of the home, called 911 and began dumping water on the flames, SDFRD spokeswoman Monica Munoz said. Firefighters were able to subdue the blaze in about 10 minutes. Investigators were unable to conclusively pin down the source of the fire, but believe it may have been caused by improperly discarded charcoal briquettes, or possibly by spontaneous combustion in built-up layers of avian droppings in a birdcage behind the home. In addition to causing exterior damage to the house, the blaze burned three palm trees, Munoz said.